These Dual Monitor Mounts Are Stocked In The Warehouse Now! These Stands Are Perfect for Consolidating Accessories and Maximizing Desk Space! 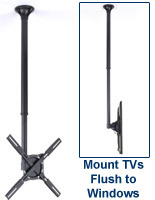 Shop the Online Catalog and Order One of These Dual Monitor Mounts Today! 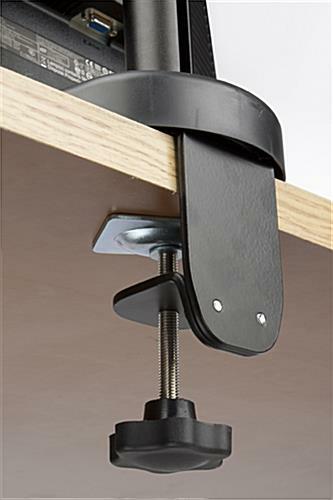 Design includes additional bolting system, which can be used to permanently fasten into a desk! 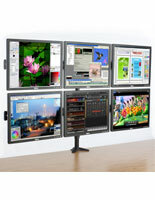 Adjustable feature enables users to modify height of display as well as spacing between screens! 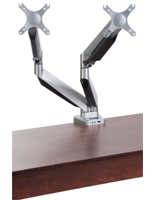 Articulating arm allows customers to move screen closer or further away, depending on nature of use! Convertible brackets swivel from portrait to landscape orientation and rotate side to side! 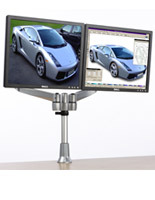 Dual Monitor Mounts Support Two Displays Vertically or Horizontally! Dual monitor mounts, like these plasma racks, can aid in boosting productivity and creating an easier way to work on and view project components together as a whole. Many types of business professionals use these stands day after day, including architects, customer service representatives, digital media designers, doctors, photographers and security officials. These affordable flat panel holders, dual monitor mounts that are VESA compatible can support two displays measuring up to 24" and weighing less than 33 lbs. per television. 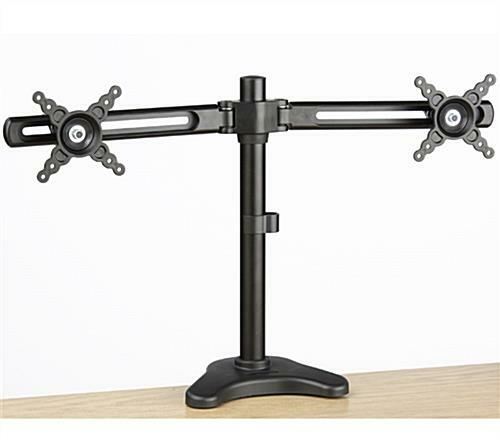 Those who have situated larger, permissible TVs on these stands can adjust the distance between to create an even balance between sides, alleviate pressure and lessening any added strain placed on the center bracket. 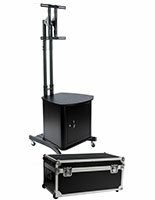 Each arm individually moves, and can be adjusted in order to bring one or both flat panel TV closer to the viewer. These LCD tabletop stands, dual monitor mounts that maintain cords organized include snap-on brackets to store cables neatly along the backside of the pole. This small, yet valuable feature leaves no room for tangled cable excuses in the future! These dual monitor mounts save desk space and are appreciated by users that have small, compact work areas. Although each 16-7/8" tower is preassembled and contains a clamp mount, these racks include a plate for permanent mounting as well. 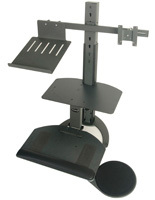 Customers can preeminently mount these articulating stands by eliminating the clamp, inserting the plate to the bottom, and drilling one hole directly through a desk. The crank, rod and silver plate can then be detached from the clamp and screwed into the stand under the desk. 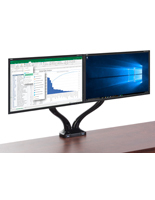 These dual monitor mounts are used as a space-saving workstation, and are an ideal purchase for companies who have employees that use two flat panel screens for everyday work. Those who have purchased these stands find that working with multiple displays is valuable and helps maximize productivity. These flat panel desk racks, dual monitor mounts that temporarily or permanently secure flat panel screens are ideal for professionals in virtually any industry! 26.8" x 16.9" x 6.0"